OVER 400 athletes headed down to the Frankston Football Oval for the second running of the annual Frankston Gift on Sunday 13 January. Being held on the same weekend as the Rye Gift, Frankston Athletics Club member Ebony Lane took the honours in the Women’s 70m Gift while backmarker Dhruv Rodrigues Chico claimed the Men’s 70m Gift. The handicapper seemed to be right on par with his handicaps with less than a quarter of a second splitting the men’s event (first: 7.817sec and eighth: 8.055sec) and a third of a second splitting the women’s race (first: 8.789sec and eighth: 9.173sec). Frankston Athletic Club president Andrew Wells said the handicapper nailed their estimates. “They were both very close finishes so the handicapper did a great job with their work there,” he said. 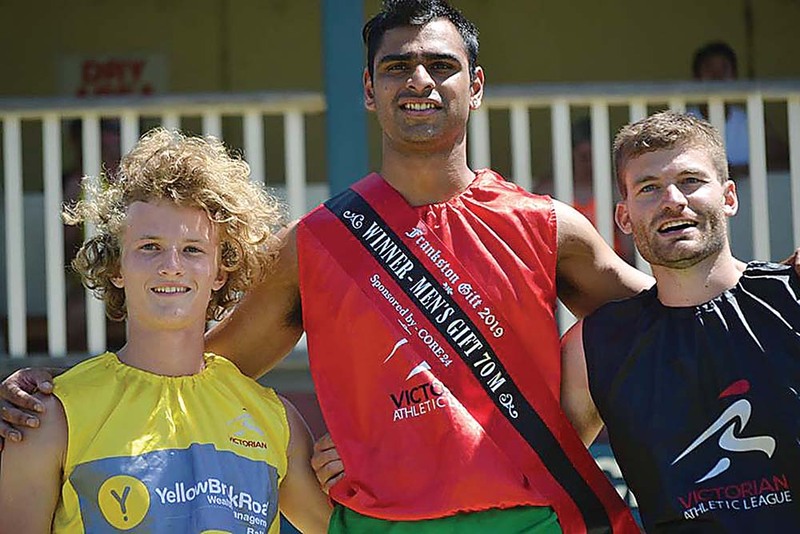 For taking out the 2019 Frankston Gift’s, Dhruv Rodrigues Chico and Ebony Lane both took a chunk of the $2,000 prize pool on offer in both the Men’s and Women’s events. 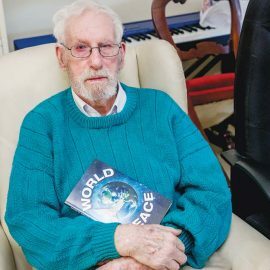 Wells said it was great to see one of their own members claim their hometown Gift. “We had a lot of club members there so it was great to see her run and win,” he said. The Men’s Gift was just as exciting with Dhruv Rodrigues Chico finishing fast over the top of his competitors. Ready to rumble: Finalists for the 2019 Women’s 70m Frankston Gift get set to hit the track. Overall, Wells said the Frankston Gift was a hit with improvements continually being made each year to better the event. “Everything ran a bit more smoothly this year as we looked at where we could improve on from last year and all the athletes were very happy with how it all went,” he said. “The improvements that we made made it a lot better as an all-round event and it was a lot smoother for us this year. Other winners from the day included: Christian Sapardanis in the under-18s Boys 100m; Fin Fawcett in the under-18s Girls 100m; Peter Biggs in the Masters (35+) 100m; Stephanie Jinks in the Women’s & Masters 300m; Jay Blake in the 300m Open; Mikayla Michels in the 800m Women’s; Jake Stevens in the 1000m Open; Glenn Sullivan in the 1600m Restricted; and Daniel Lawlor in the 3200m Open.